OMG Posters! 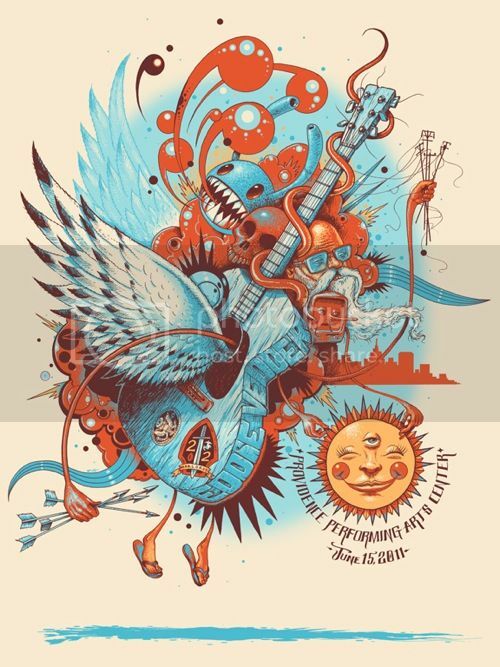 » Archive Jeff Soto's Eddie Vedder Poster (Onsale Info) - OMG Posters! First of all, huge thanks to Jeff Soto for giving me the first heads up on this release info. His new Eddie Vedder poster, which I think is his best poster yet, is an 18″ x 24″ screenprint, has an edition of 100, and will cost $65. It goes up Wednesday, June 22nd at 12pm Pacific Time. He’ll also be selling some random toys, books, and original art as part of a moving sale. Visit PotatoStamp.com. I have enjoyed Jeff’s screen prints. I’m glad he is making them along with his fine art stuff. This one looks very sweet. He puts a lot into all his work. Where can I get a print of this?